A robotics startup is in the process of developing technology to create driverless boats. We have heard about driverless cars from Google – and similar technology is now being used in maritime shipping, search-and-rescue operations and security work. Up until now, that technology hasn’t been applied to recreational boating, but thanks to the work of three students, that’s all about to change. Buffalo Automation Group, a robotics startup founded by three University at Buffalo undergraduate engineering students, is developing technology to create autonomous boats. Over the last 12 months, the company has successfully tested its technology on a 16-foot catamaran, filed two provisional patent applications and secured thousands of dollars in funding. “The success we’ve had illustrates there is a market for safe, highly-effective and easy-to-use marine autopilot systems that provide recreational boat owners with well-deserved peace of mind,” says Thiru Vikram, the company’s CEO. 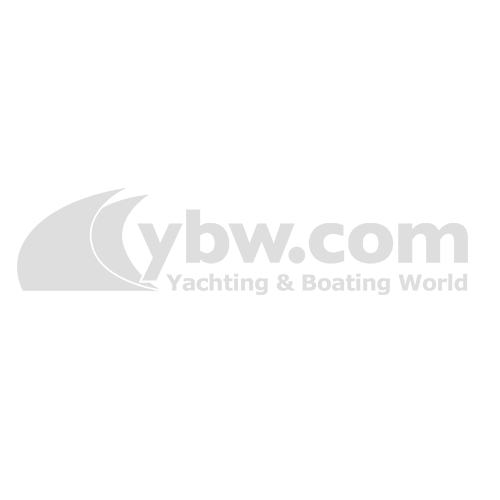 Co-founders include Shane Nolan, chief operating officer and Alex Zhitelzeyf, vice president of product development. 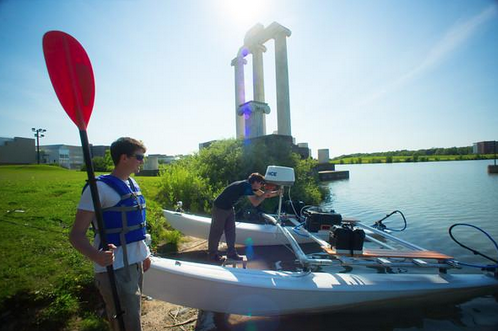 The Buffalo University students test their technology on the water. Buffalo Automation Group is aiming to reduce the number recreational boating accidents through the use of its technology. The company is targeting small yachts and inboard boats up to 40 feet long. “These are vessels that are big enough for a family to spend anywhere from a few days to a few weeks on the water. But they’re often too small to hire a crew, or even a junior captain, so the captain must keep constant vigil over the boat,” Nolan said. 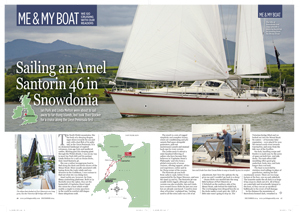 Like aeroplanes, many of these boats have an autopilot option. The problem, Zhitelzeyf says, is that these systems are reactive, meaning that they respond only after the boat senses a change in tide, wind or other conditions. The technology that Buffalo Automation Group is developing – a combination of sensors, cameras and wireless communication systems – is predictive, meaning it fuses real-time data, such as weather conditions and obstacles in the water, with nautical charts and other static information to pre-empt any threats to the boat and its course of direction. Designed for new and used vessels, the system would dock the boat and allow the captain, at any time, to easily regain control over the boat. “Essentially, you will connect your smartphone or laptop to the system. From there, you use your device to tell the system where you’d like to go. It then guides the boat, from port to port, using the safest, most efficient route possible,” Zhitelzeyf says. The co-founders plan to continue to refine the technology – as well as complete their course work – this school year while meeting with potential investors, boat manufacturers and retailers that sell marine electronics. Would you consider using this ‘driverless boat’ technology?